No one can figure out just why the Opel experiment failed but it certainly isn’t because “the market segment is tight” as was the excuse at the time. 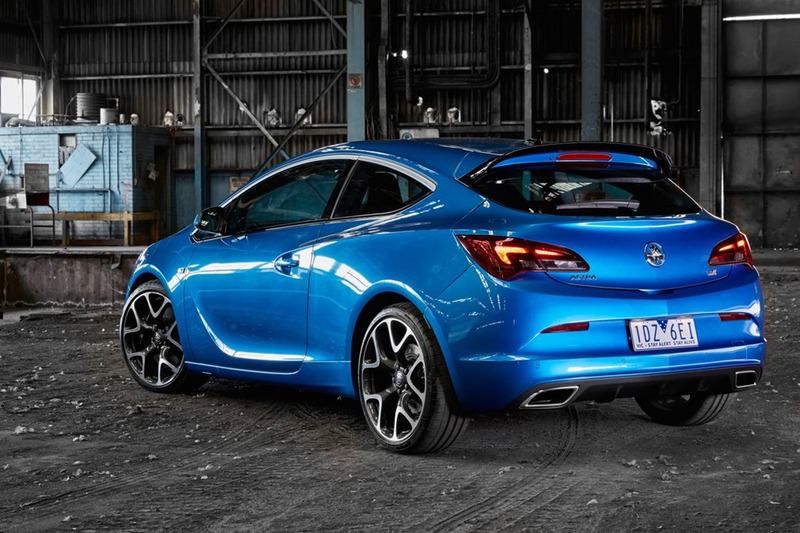 If so, Holden would not now be selling the Opel models with Holden badges shoved on the front. We always said the Opels should have been sold through Holden’s dealer network or rebadged and sold as Holden models. Opel Astras were previously sold here and did just fine. If it ain’t broke don’t fix it. This Astra debuted in Europe 2008 and was first sold there in 2009 (the Cascada in 2013) making this vintage over 6 years old. In car terms that’s almost pension time. Even so, the exterior crisp and clean and cutting-edge. The engines are smooth and silky but the auto is like stirring porridge. No diesels are available which is probably just as well as this is Holden’s sporty range. No doubt they did not want to cannibalise their Cruze sales. 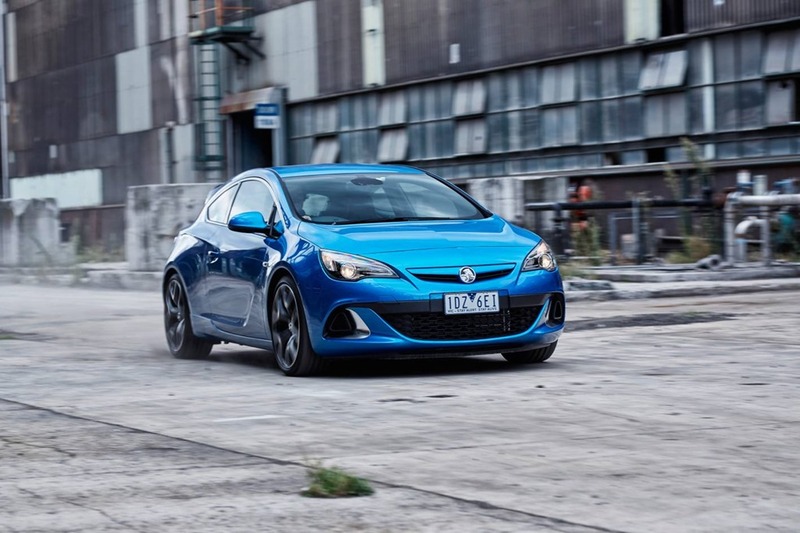 Holden is only bringing in the 2 door Astra versions which first went on sale on in 2011. They are the GTC /VXR and the Cascada convertible (Spanish for waterfall). 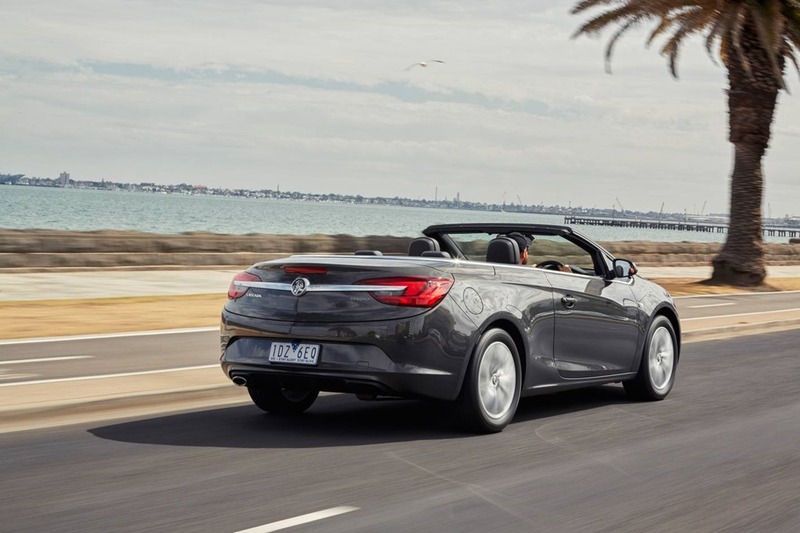 In fact the Cascada is achingly beautiful in an “I’ve got to have you” kind of way and is definitely my preference for looks, because convertibles are always my preference for looks. Sadly Cascada gets a very modest 125kw turbo 4. Why, oh why, oh why? For some stupid reason all of the car makers seem to think putting the low powered engine in a droptop will sell it. 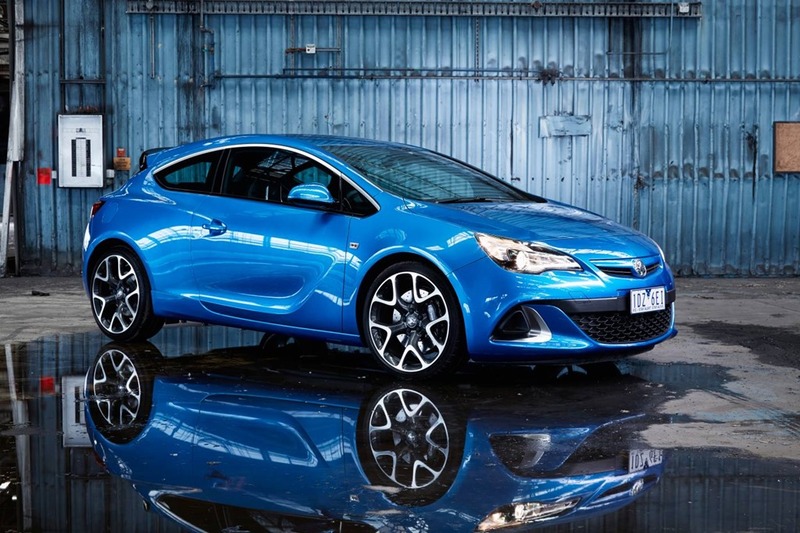 To add insult to injury, Cascada only gets that hateful auto transmission, while the VXR only a manual. The GTC and GTC sport get a choice of either transmission. Why limit buyers to that kind of choice? 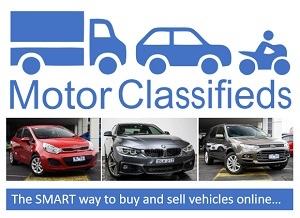 Why not just have a GTC, GTC Sport, VXR and Cascada with a full choice of engines and transmissions and let the buyer decide how much they want to spend? We took the convertible through some bends that would put the most thorough of breds through their paces. Kept in manual, the plucky little engine sings along nicely and every last kw can be wrung from its scrawny little neck. The chassis doesn’t feel quite as tight as the VXR coupe but that isn’t where the strength of Cascada lies. The secret weapon is the roof which slides quickly away in a matter of seconds at up to 30kph. If you’re feeling flash you can watch it from outside the car by pressing the lock or unlock button on the fob, then pressing and holding that same button. You can open or close all the windows and if you keep your finger on the pulse, the roof follows, handy on a hot day. The roof folds into a compartment in the top of the boot space. While the roof is up, extra space can be had in the boot by raising the stowage compartment floor. The roof won’t lower until the compartment is back in its original position again. This feature makes the car more flexible than it otherwise would be. On the road, the Astra and Cascada feels stuck to the tarmac. 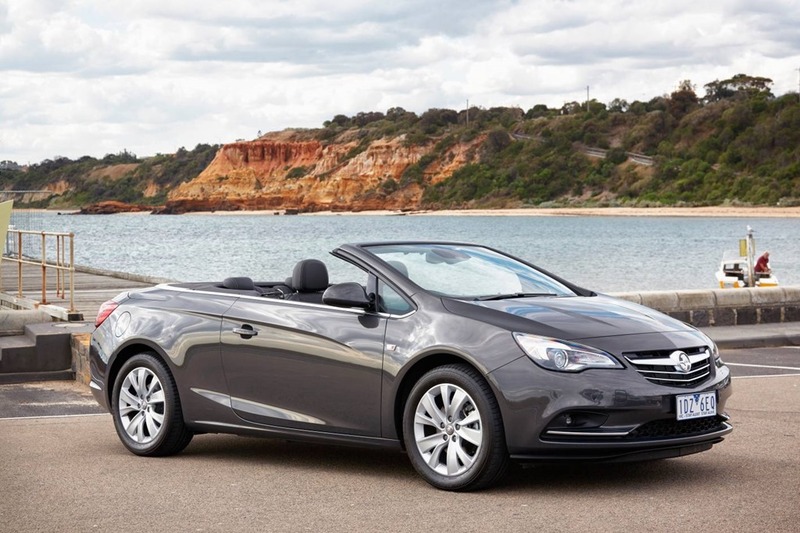 Even the roofless Cascada sticks itself down beautifully. 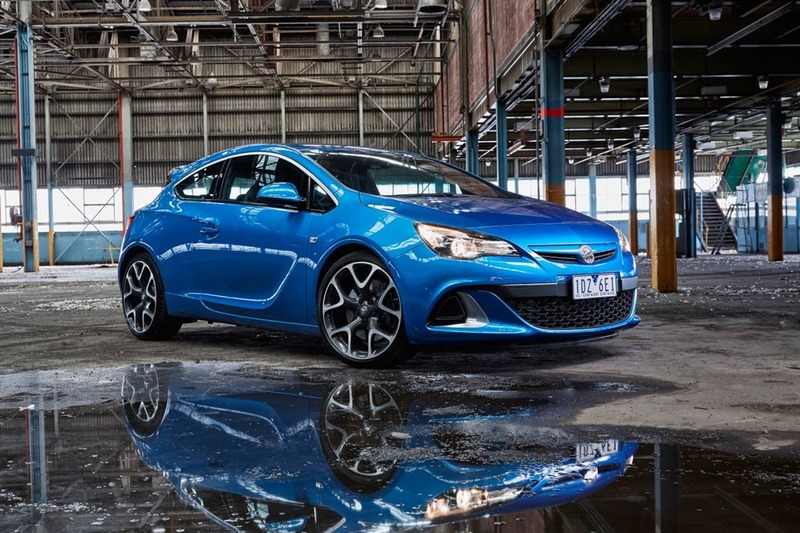 The GTC is “entry level” 3 door hatch with sharp steering and 147kw of power. All models have decent ride but the VXR has the firmest and also the sharpest handling. It is my pick for drivability. The reason I dislike the auto so much it is slow. The changes are slow in both directions, and the 6 speed box tries to get into top gear as fast as it can. It always feels in the wrong gear and won’t change unless you give your right foot a real stab into the carpet. I know I like shift-em-yourself gears but there are many auto gearboxes I could easily live with. This one I just couldn’t. You can opt to change gears yourself then at least you’ll be in the gear you want to be in. There are no steering wheel paddles so changes are via the floor selector. The hardest part is remembering which is up and which is down. Racing cars once had sequential shifters on the floor but they moved to paddles during the Hawke administration. Why? Right is up and left is down. You’re only confused when turning corners and the damned paddles aren’t where you left them because they’re glued to the wheel rather than the steering column. None the less the ride is pleasing and the seating comfortable. 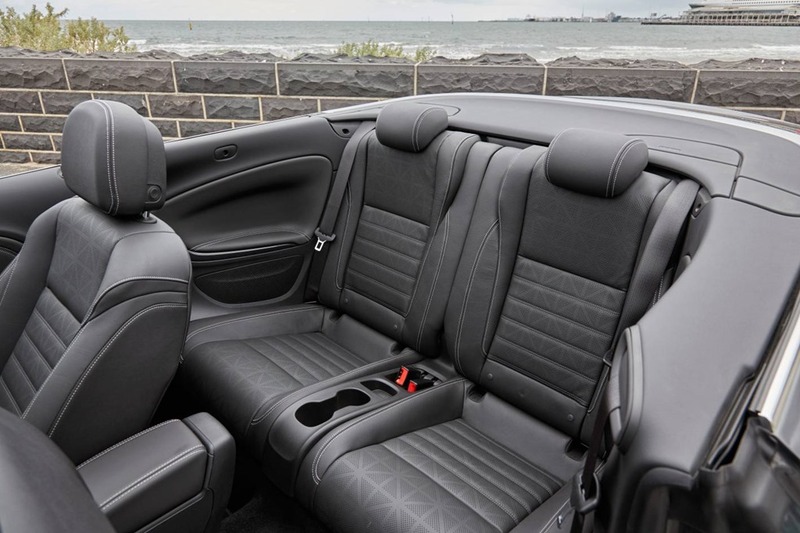 The seats adjust with buttons and on chilly days are heated for the Cascada. This car is set up for grand touring not going for blats through windy mountain passes and certainly not a race track. “Horses for courses”, are my words du jour. City traffic is a snip because Cascada feels light and nippy, rubbish auto notwithstanding. Because having the roof of a ragtop up is punishable by death, the roof spends most of its time down where the optional wind deflector comes in handy. It has to be said that on really cold days even seat and steering wheel heating are sorely tested and you’ll probably find yourself reaching for the scarf and gloves. Roof-up is a fairly quiet place with a triple layered affair overhead. It is nowhere near as quiet as Audi’s A3 with its acoustic material on board, but that’s part of the charm. You feel part of the environment and I like that. Even creeping along in a CBD crawl takes on a charm all its own. Although the range has the newest version of Holden’s excellent My Link system, it is hamstrung by a ridiculously complex array of 34 buttons. As if that wasn’t enough, there are 4 dials and a ring-shaped selector as well. What we they thinking? Perhaps it wouldn’t matter so much if the 7” LCD display was a touch screen. As it is, inputting Satnav addresses is like trying to write the Gettysburg address on the back of an angry Death Adder with a meter wide texta, while balancing on a one legged chair, after drinking a litre of vodka. It is stupidly difficult, and the unnamed “enter” key is the selector ring around the outside of the joystick. It needs pressing after each letter then a wind to find the next letter or function. It’s just daft. Clearly this console was made for another system. 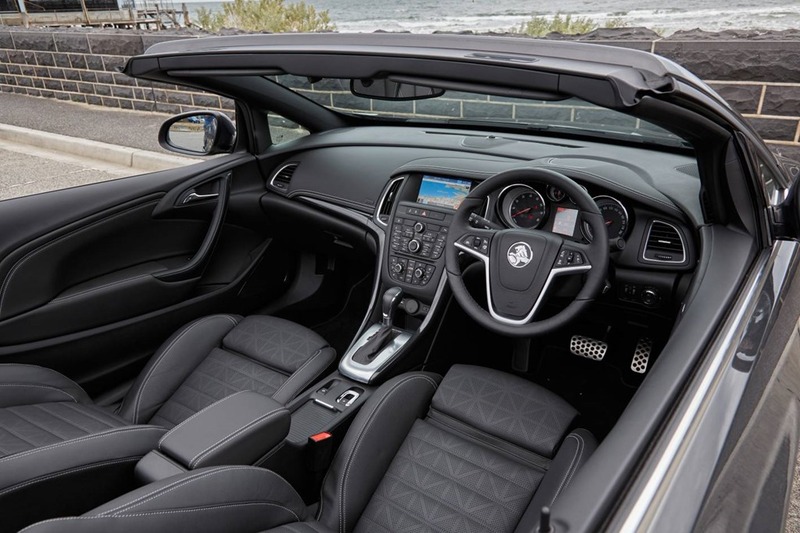 GM cheaped out by keeping the same buttons and not giving Astra the same touch screen which appear in other Holden’s. Why? The centre stack reminds me of a 90’s coffee table. You were always reaching for wrong button in what was a sea of buttons on a dizzying array of controllers. Ford had the same problem with the Sony system in Focus and Falcon. They got rid of the messy buttons when they gave the cars a facelift in the case of Focus, and Falcon and a new model for Mondeo. Very few buttons are left with most functions banished to a menu. Input is via the 8” touch screen. It leaves the console neat and clear of clutter. As it stands, using the Astra’s system while you’re moving is pot luck, even to change the radio station. The buttons are too close together so there is no way you can select little used functions without looking. Luckily you can perform some of the functions from the steering wheel too. You find yourself trying to avoid the centre stack as much as possible. I found the system easier to use after a while but we will never be BFFs. Unforgivably, there is no rearview camera. This crime is punishable by death. There also no blind spot detection, no smart entry and start, no automatic parking, no lane departure and no low-speed accident avoidance. It is with some consolation then that there are little arms which bring the seatbelt out once you start the engine. They first did this back in the 80’s in a Mercedes Coupe. This is all a bit odd in a car costing $46,542 (drive away in NSW). I realise you pay a premium for a convertible, but a Golf is only a few thou more and is hard to beat. A VXR Cascada might be a different story but there is no such animal. Even a manual would make the 125kw setup more attractive. On the whole, the interior feels classy. The two tone caramel/black of the test car was tasteful and the driving position is comfy. 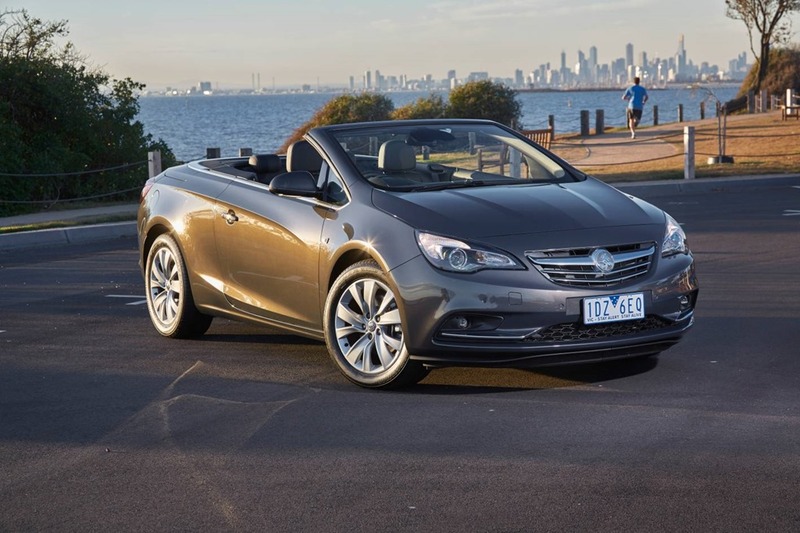 I love the Cascada for its look and feel. The drive was OK if you persist with changing the gears in manual mode. 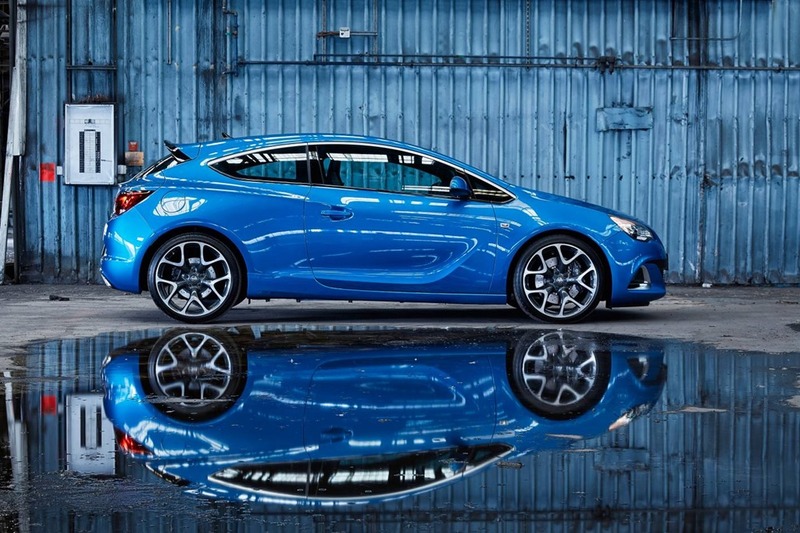 I can’t help but feel this stunning body is wasted on this engine/auto combo when VXR’s 206kw/400Nm can be had. OK, this is a tourer not a racer, I get it. The thing is the rear seats are decorative only and the superb Mazda MX5 is 6 grand cheaper, and it has a manual. The VXR goes some way to fixing the issues I had with the Cascada. The manual gear change feels crisp and clean and the VXR is a right little firecracker when you stick the boot in. As much as I loved the look of the Cascada, it has no manual so it’s the VXR for me. Handling is similar throughout the range so the buyer will choose roof or not, auto or not and take the rest from there. For similar money I’d consider a Golf Cabriolet, or a Ford Focus ST/Golf GTi if I wanted performance. 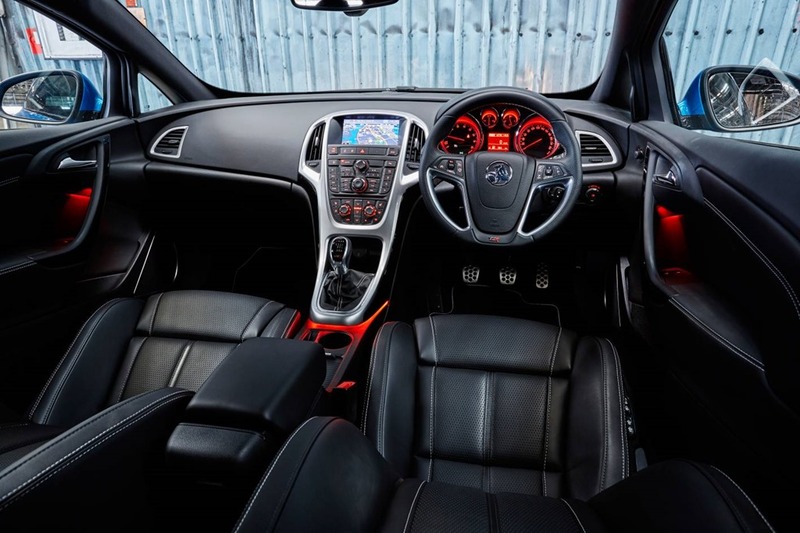 Focus has 2 extra doors and can be optioned with blind spot detection, city safe braking, active lane guidance and the Ford Sync II which has eliminated most of the centre console buttons. Golf gets most of those things as well as automated parking at extra cost of course. If I was forced to choose right now it would have to be Golf Cabriolet, Golf GTi or Focus ST. I just couldn’t live with Cascada’s sloppy automatic transmission, and the centre console is just too busy. Having said all that, Astra and Cascada are beautiful to look at and great to drive other than the issues I’ve already mentioned. They are certainly the best handling Holdens and have a similar classy finish inside compared with Commodore. Some don’t care about how gears change and some don’t care for a powerful engine so I have no doubt there are plenty of buyers. My gut tells me Holden should have waited for the new model but perhaps they thought that too far off so have taken a risk. Time will tell.